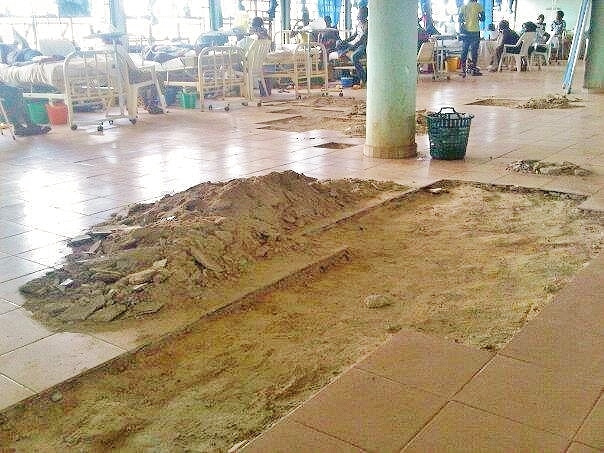 The subsequent day, Mr Okafor posted the photograph again with another statement, “Repairs are still ongoing in of the Federal Teaching Hospital in the south-east at the detriment of patients admitted and whose high blood pressures needs a quiet environment and not an environment where hammer and other iron materials are struggling on whose voice should be heard aloud.” He also followed it up with this, “A country about to celebrate its one hundred years in existence still admit a patient in an environment like this”. Mr Okafor is my neighbour in my hometown – Okposi, Ebonyi State of Nigeria. I grew up knowing him and all members of his family. He’s a gentleman and a graduate professional. As I write, he and his family are mourning the death of his younger sister whom he had taken to a tertiary healthcare facility for medical care. The sister has only lived for about three decades. On April 26, 2013, Mr Okafor posted the above photograph yet again and wrote “Federal teaching hospitals in Nigeria are built to provide adequate medical services in well-built environments. Can someone believe that I took my beloved sister Uzomaka to one of the acclaimed best teaching hospitals in the southeast for medical treatment but all I got was uncaring attitude of people who swore to uphold the tenets guiding medical profession, worst still, I lost her under this condition”. Obviously, Mr. Okafor was and is still very upset, who wouldn’t be? At this time I do not know her late sister’s medical history. Even if I do, I can’t disclose it. I sent a message to him to ascertain the exact hospital that this happened but yet to get a response, understandably. From his facebook posts since they got to the hospital, I could sense emotional stress which got exacerbated by Uzoamaka’s demise. Mr Okafor is not satisfied with the quality of health services the sister got. Whether the alleged poor healthcare services caused the death of his sister may be arguable. However, the fact that Uzoamaka and other patients in the hospital deserve the best possible quality of care in a good environment is unarguable. The news of Uzoamaka’s death only worsened the emotional trauma and grief I was grappling with. I have been mourning the death Engr. Ogonna Okike, a bosom friend of mine of close to 20 years who died last week. Mr. Okike is also in his 3rd decade of life, marked one year anniversary of his marriage a couple of weeks ago and was preparing to present his daughter for church blessings on April 28th. 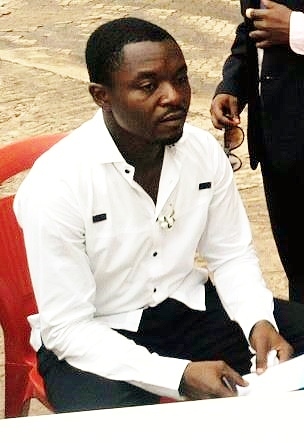 Ogonna, the only son of his parents died in a fatal auto-crash close to Enugu, leaving behind his 3 month old daughter, young wife, widowed mother and sisters. His death came at a time I was mournfully remembering Engr. Ukpa Nwankwo, my childhood friend who died at the age of 28 years from severe head injury sustained after a road traffic accident two years ago. Ukpa would have been alive if there was a functional emergency management system in my state. He was my classmate in primary school and we were called twins while we were growing up. Last year, I lost one of the most intelligent ladies I’ve ever known. Mrs Ngozi Nwozor-Agbo initiated the Campus Life page on The Nation newspaper and I was one of the pioneer campus writers. As the editor, she helped to make me a better writer and we formed an intimate relationship. She died in a process that should have brought joy and smiles on everyone’s face – childbirth. Like Ogonna’s wife, Ngozi’s beloved husband became a widower one year after his marriage. Ogonna and Ngozi provided immense emotional support to me while I was mourning Ukpa’s death. Some months before Ukpa left us, Ogonna and I had mourned the death of our friend and former high school classmate, Chidiebere Osuu. Chidiebere was an accountant and was one of those who died while participating in physical drills during a recruitment process of one of the federal parastatals. His family is yet to get over his death. Chidi’s death came about 6 months after a friend and professional colleague, Dr Gaby Ifewulu died from a fatal accident. 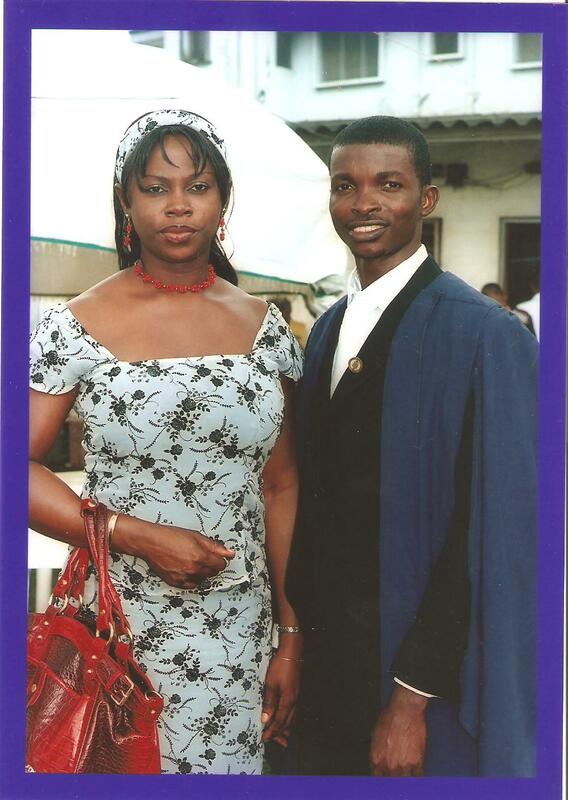 Gaby was the best graduating doctor in 2008 at the University of Nigeria, Nsukka. He achieved this feat few months after I lost my cousin Chukwuma. Chukwuma died at the age of 25 in a fatal vehicular accident close to Benin. Did I get you bored or confused with this narrative? Were you able to keep count of the number of people I’ve lost? Did you observe all of them were in their 20s or 30s? You can imagine my state of mind recounting this number of losses within a 5 year period. Is it not enough to get one confused, frustrated or even depressed? You may now understand why the narrative (possibly) got confusing at some point, please bear with me. It hurts me more because as a physician, I do know that some of them would have been saved had a well-equipped emergency ambulance arrive the scene of the accidents in good time. I’m very upset because no woman in this age and time is supposed to die from childbirth. I am mad at the situation because our country has both the human and material resources to make our health system strong enough to prevent these kinds of deaths. We don’t have a policy framework to regulate health services in Nigeria and both the National Assembly and the Presidency have refused to make the National Health Bill become law for more than 10 years. I won’t be able to write everything in my mind because it’s enough to write a book and I have decided to write one in the near future. If you are upset with the deplorable situation like me, we need to act. We need to put more pressure particularly on the local and state governments most of whom are not serious about health system strengthening. I must acknowledge that good progress has been made in some areas of our health sector in the recent past but there is still a lot to do. We have lost too many productive young people already; our economy is in danger and the future of our country bleak if this trend is allowed to continue. The ball is in our court!